In 2006, Amazon Web Services (AWS) started offering IT services in the market as web services, nowadays known as Cloud computing With this cloud, we do not want to plan for the server and other IT infrastructure, which takes a lot of time in advance. Instead, these services can spin hundreds or thousands of servers instantly in minutes and can give rapid results. We pay only what we use with no upfront expenditures and long-term commitments, which makes AWS cost efficient. Today, AWS provides a highly reliable, scalable, low-cost infrastructure platform in the cloud that powers the multitude of businesses in 190 countries around the world. Cloud computing is an internet-based computing service in which large groups of remote servers are networked to allow centralized data storage and access to computer services or resources online. 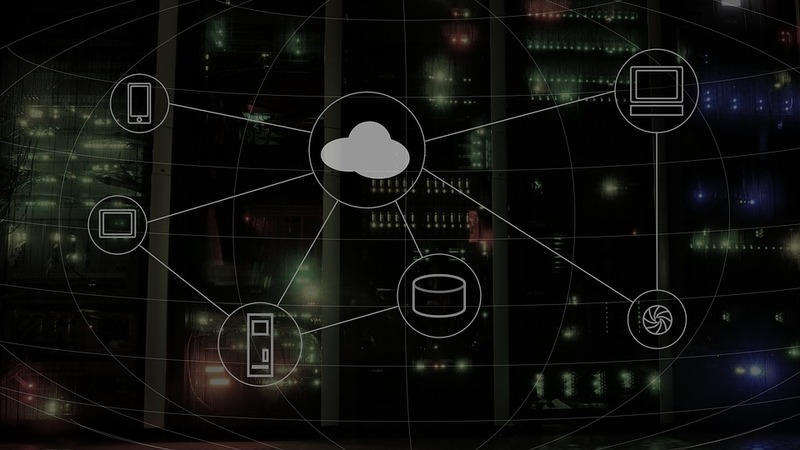 Using cloud computing, organizations can use shared computing and storage resources instead of building, operating and improving their own infrastructure. cloud computing is a model which are enabled the following features. Users can release and release resources on demand. Resources can be automatically increased or reduced depending on the load. Resources are accessible on the network with proper security. Cloud service providers can enable pay-as-you-go model, where customers are charged on the basis of types of resources and per usage. In addition to making our own servers and equipment time-consuming and costly, we need to order, pay, install and configure expensive hardware long before we need them. However, using cloud computing, we only pay the amount we use and when we use computing resources. In this manner, cloud computing is cost-efficient. The cloud computing platform offers a much more manageable, reliable and consistent service than in-house IT infrastructure. It guarantees 24x7 and 365 days of service. If any of the servers fail, hosted applications and services can be easily transferred to any of the available servers. Cloud computing provides almost unlimited storage capacity, i.e., we do not have to worry about exiting the storage space or increasing its current storage availability. We can use or at least as per our requirement. It is relatively easy to store data in the cloud, backup it, and restore it to a physical device rather than store it. Cloud service providers also have sufficient technology to retrieve our data so our data can be retrieved at any time. Once you register yourself in the cloud, you can access your account from anywhere in the world, provided there is an internet connection at that point. There are various storage and security features that vary with the chosen account type. There are three types of service models in the cloud - IaaS, PaaS, and SaaS. IaaS stands for Infrastructure as a service. It provides users with the ability to provide on-demand processing, storage, and network connectivity. Using this service model, customers can develop their own applications on these resources. PaaS stands for a platform as a service. Here, the service provider gives its customers various services such as databases, queues, workflow engines, e-mails etc. Customers can use these components to build their own applications. The availability of services, resources and data backup is controlled by the service provider, which helps customers to focus more on the functionality of their applications. The SaaS is standing as a service for the software. As the name suggests, here third-party providers offer end-user applications to their customers with some administrative capabilities at the application level, such as the ability to create and manage their users. Apart from this, some level of customization is possible such that customers can use their own corporate logos, colors, etc. There are 3 sorts of clouds - public, Private and hybrid clouds. In the public cloud, third-party service providers provide resources and services to their customers through the Internet. The customer's data and the related security service providers are with the infrastructure owned by them. A private cloud also provides almost identical features in the form of a public cloud, but data and services are managed by the organization or by the third party only for the organization of the organization. In this type of cloud, there is a major control over infrastructure, so issues related to security are minimized. A hybrid cloud could be a combination of each private and public cloud. The decision to run on a private or public cloud generally depends on the various criteria such as sensitivity of data and applications, industry certifications and necessary standards, regulations etc. Although Cloud Computing provides a wonderful set of advantages, there are some drawbacks that often raise questions about its efficiency. Security is a key issue in cloud computing. Cloud service providers implement the best security standards and industry certifications, however, collecting data and important files on external service providers is always a risk. AWS Cloud Infrastructure has been built to be the most flexible and secure cloud network. It offers scalable and highly reliable platforms that enable customers to quickly and securely deploy applications and data. As cloud service providers provide services for the number of customers each day, sometimes there may be some serious problems in the system, which temporarily suspend business processes. In addition, if the internet connection is offline, then we will not be able to access any applications, servers, or data from the cloud. Cloud service providers promise vendors that the cloud will be flexible to use and integrate, however switching to cloud services is not easy. Most organizations can find it hard to host and integrate the current cloud application on any other platform. Interoperability and support issues can arise, as the applications developed on the Linux platform can not work properly on the Microsoft Development Framework (.Net).